Mr. Akinwunmi Ambode, the governor of Lagos State has assured Lagosians of a peaceful, good and pleasurable Yuletide season, devoid of security challenges, especially with security infrastructure in place in the State. Ambode made this known, while speaking at the 12th Annual Town Hall meeting on security organised by the Lagos State Security Trust Fund, LSSTF, at the Civic Centre, Victoria Island on Wednesday. He promised to set up a special task force for the Yuletide season to check activities of undesireable elements during the festive season. Adding that, “we must think of how to outsmart the bad guys during the Yuletide season”, because they may already be strategizing for criminal activities for the season. He promised that the state will do all it can to secure residents of the state during yuletide, campaign and election period. The governor commended members of the Board of Trustees of LSSTF, all security agencies, especially the police, including the military and paramilitary for making Lagos a peaceful and the safest city in Africa, and also all those both corporate and individuals that have been donating funds to LSSTF. The governor also speak highly of the efforts of the Naighbourhood Safety Corps in ensuring peace and tranquility in their communities even though they don’t carry weapon. “The Neighbourhood Watch is our alternative to state police since they did not give us state police, and they have been performing wonderfully well even with out carrying arms. “I have tried so many new things, some like the Neighbourhood Watch I got it right and some I got my fingers burnt; Neighbourhood Watch is filling the missing gap in our security structure, they don’t carry guns but have done so much”. 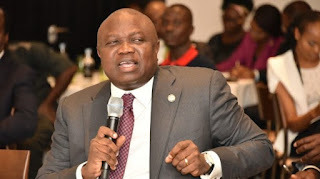 While soliciting for more funds from corporate bodies and individuals for LSSTF to be able to provide more equipment and logistics to security agencies to sustain the security infrastructure in the State, Ambode called for reform of the funding model for the agency and also urged citizens to pay their taxes. Mr. Oye Hassan-Odukale, the Chairman, Board of Trustees of LSSTF, in his welcome address applauded the effort of Governor Akinwunmi Ambode for demonstrating total commitment to the protection of lives and property in the State. “Therefore, I say with all sense of responsibility that his Excellency’s passion for the safety and security of Lagosians remains second to none, we are sincerely grateful for your steadfastness in this regard”, he said. Also in his report, the Executive Secetary/CEO of the Trust Fund, Dr. Abdurrazaq Balogun said the fund has achieved the following in the state: significant reduction in violent crimes and other criminally related activities in recent years; no bank robberies; huge reduction in Kidnapping; no more attacks through waterways. 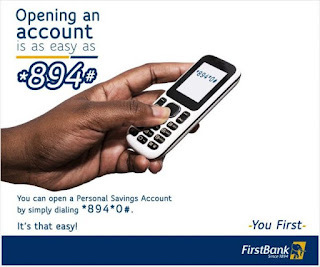 Others are: heightened security awareness; the only well established emergency call centre in Nigeria with 112 and 767 till free lines; increase use of the emergency response lines; enhanced crime-prevention and response capability and crack down on insurgency/terrorism.